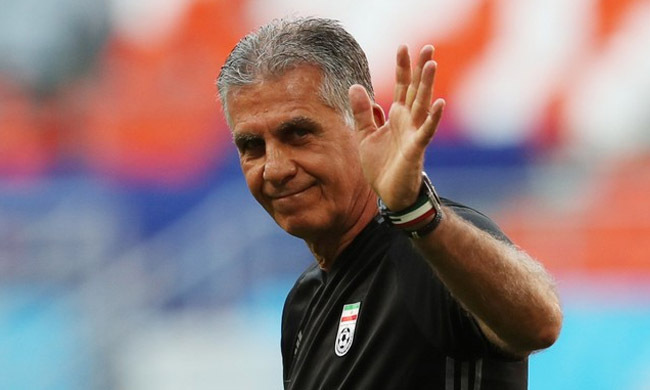 Iran coach Carlos Queiroz criticised the video assistant referee (VAR) system on Sunday and said it has left many fans sitting in the stands scratching their heads about what was going on. The new system was intended to correct referee errors but has delivered more contention with technology playing a decisive role in some matches during the World Cup in Russia. The 65-year-old Portuguese manager was initially reluctant to comment on VAR for the fear of retribution from governing body FIFA but then decided to speak on "behalf of the game." "Football belongs to the people, that cannot change. This is the people's game," Queiroz said ahead of Iran's final Group B match against Portugal at the Mordovia Arena on Monday. "It is crucial and fundamental that a group of intellectual people are deciding behind the scenes without anybody understanding what is going on. "This is not good for the prestige of the game. The game must be clear, it needs to be obvious. "People sitting in the stands need to know what the rules are. Who is refereeing the game? We need to know. "People deserve to know what are the rules of the game and the game belongs to the people." VAR is being used at the World Cup finals for the first time. Although it has been used in domestic competitions across Europe in the past year, some concerns have been raised about the system. FIFA's director of refereeing, Massimo Busacca, said before the tournament that VAR would not be perfect in Russia and so it has proved, with inconsistency in decision making frustrating teams and fans alike. Critics of the VAR system were handed ample ammunition when Serbia were somehow denied what appeared a blatant penalty in their defeat to Switzerland on Friday. A penalty was also disallowed in Brazil's win over Costa Rica after VAR deemed there not to have been a foul on Neymar. Both Brazil and England felt that VAR should have been used to review penalty decisions in their opening fixtures, while Australia coach Bert van Marwijk was left furious with the role the system played in his team's loss to France. "We know to fail is human. But VAR was born to make it right," Queiroz said. "It is not right to come out with a system and then make the same excuses like before. "If we have a problem with concussion, with security, we have immediate help on the field. But if we need clarification on referees, we have to write to FIFA."